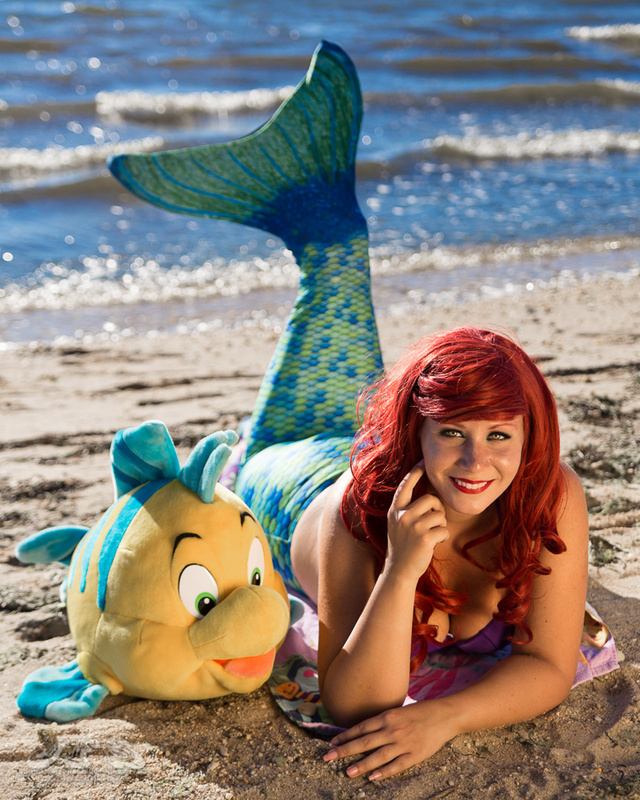 My friend Mary Katherine Grecco asked me to do a Little Mermaid shoot with her on a beach. She's an award winning cosplayer, and she had the costume, right down to the mermaid fin. For inspiration I looked at the beach photography of Peter Gowland, a favorite photographer of mine (I've had his Peter Gowland's New Handbook of Glamour Photography" since I was a teenager). This was shot with my Canon 6D, with the Tamron 28-75mm f/2.8 lens. I put Mary with the sun to her back, and used a gold reflector to bounce light onto her.